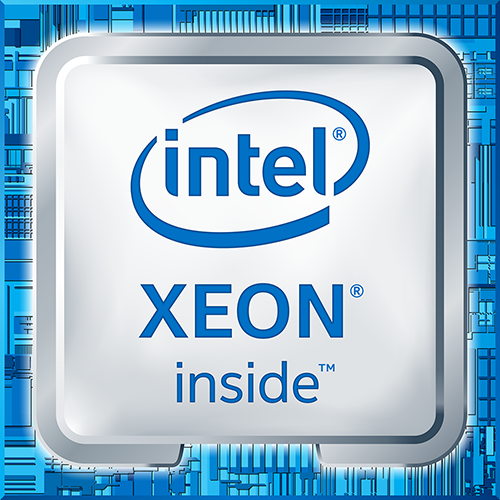 Considering the HPE Hyper Converged 380, powered by Intel® Xeon® processors? Learn more and click this infographic! 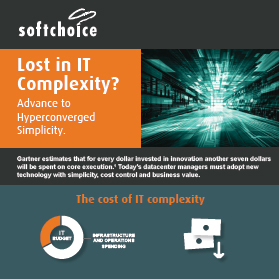 Organizations of all sizes are turning to Hyperconverged Infrastructure (HCI) solutions to help simplify their data centers and reduce overall IT management costs. However, not all HCI solutions are created equally. How good is your HCI platform if it’s missing essential components? If your hyperconverged infrastructure (HCI) doesn’t come with essential components, your business isn’t going very far. And when you compare capabilities, only HPE SimpliVity comes pre-loaded with everything you need to effectively run virtualized environments from day one. Data protection operations are undergoing fundamental change in the era of virtual computing. Most organizations designed their data protection infrastructure based on concepts from the client/server era, anchored by traditional backup/recovery (B/R) software that runs once per day and delivers a 24-hour recovery point objective (RPO) and a 24-hour recovery time objective (RTO). This IDC white paper reviews important market trends that have driven a dramatic increase in real-world hyperconverged infrastructure deployments. A modern data architecture powers the HPE SimpliVity 380 to provide unmatched efficiency, performance, and resiliency. For all of Microsoft’s considerable successes, few match the company’s achievements with Exchange. The email package owns the lion’s share of the market, claiming more than half of business email seats. And, as email traffic continues to grow by leaps and bounds, IT organizations are relying on Exchange more heavily than ever. The hyperconvergence story has many chapters. In this small book, the author discusses the trends that are leading modern IT to hyperconverged infrastructure. Hyperconverged infrastructure is radically shaking up the IT landscape, creating huge operational and economic benefits. Tier 1 applications such as Exchange, SQL Server, Oracle and others are among the many beneficiaries of this new generation of infrastructure. Enterprise-class performance and scalability with built-in data protection and resiliency. Your organization needs peak IT efficiency to remain competitive. This means your legacy data center is now your company’s kryptonite. Its high maintenance costs drain resources. Its slow processing delays critical deployments. Are you considering expanding your server and storage capacity and want to avoid taking on a lengthy, costly IT Project? Combining storage and servers in a single appliance is a good start but the true power of hyperconvergence comes with full consolidation. HPE Nimble Storage delivers up to 99.9999% availability. Let’s face it, buying storage is easy. Managing storage, however, can be extremely difficult - especially when you factor in the many locations, storage architectures and solutions that are prevalent in today’s IT environments. What's the special sauce with HPE Nimble Storage? In this ChalkTalk, HPEStorageGuy gives an overview of HPE Nimble Storage, the portfolio of flash arrays, InfoSight Analytics, and the Secondary Flash Array. This ChalkTalk introduces the new HPE Nimble Storage Secondary Flash Arrays. Designed to simply and efficiently handle tasks like Veeam backups and disaster recovery, Nimble Storage Secondary Flash Arrays offer the flash-optimized performance to run development/test, QA, and analytics on your secondary data – plus production workloads when needed. Store more data per terabyte of flash storage than other all‑flash arrays - guaranteed. All Flash Cloud platform improves key business and forestry application performance. 84% reduction in storage footprint and 20x faster storage performance with Nimble Storage. 65 percent improvement in Oracle® Database performance and costs cut by 3.5x. GSG replaces traditional and flash-only arrays to cost-effectively improve performance. HPE InfoSight transforms how infrastructure is managed and supported. Nimble Storage uncovers the true cause of application disruptions and slowdowns through installed-based learning. How Nimble Storage uses predictive analytics to achieve more than six nines availability across its entire installed base. HPE Nimble Storage Adaptive Flash hybrid storage arrays combine a flash-optimized architecture with HPE InfoSight predictive analytics to achieve fast, reliable access to data and greater than 99.9999% measured availability. The Nimble predictive All Flash array combines the speed of flash with the power of InfoSight Predictive Analytics—radically simplifying operations while delivering 33% to 66% lower TCO than other all-flash arrays. HPE Nimble Storage All Flash Arrays provide high performance and consistent low-latency storage with advanced data reduction technology, along with rich storage management functionality for radically simple operation—even for the most demanding applications. Applications are the engines that drive today’s digital businesses. When the infrastructure that powers those applications is difficult to administer, or fails, businesses and their IT organizations are severely impacted. HPE's system, Infosight, is taking steps to mitigate a very real issue facing IT professionals today with-the app-data gap. When it comes to hybrid IT and virtual machine provisioning, all businesses need to be aware that 'doing everything differently' is the new normal. We sat down with Softchoice's HPE Technical Architect, Nigel Barnes, to discuss the benefits of hyper-convergence and the HPE Hyper-Converged (HC) 250. Softchoice + HPE The Softchoice and HPE partnership allows our customers to streamline their purchasing process, consolidate their vendor list, and utilize Softchoice resources across all their HPE products lines. We bring the Softchoice value together with the HPE brand giving you the best of both worlds. HPE Asset Review The Hewlett Packard Enterprise Asset Review is a consultative engagement that provides support in understanding your HPE environment by contract management, product life cycle management and assistance in roadmapping your environment to meet business growth and enhancements. Simplify with fast, flexible, efficient and application-integrated data storage solutions that can start small and scale without limits. Get compute, storage, networking and software - all in fully integrated, workload-optimized systems.